One of the great things about blogging is that you learn about places to try that you probably wouldn’t have known about otherwise. 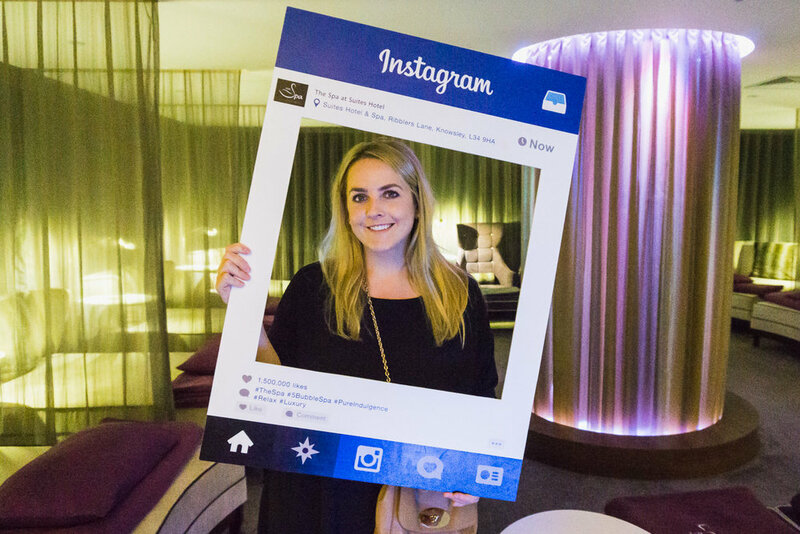 I was recently invited to one such place, The Spa @ Suites Hotel in Liverpool, for a pamper day with my friend. Nestled away in the most unlikely of places, just off the M57 motorway in Knowsley, I’ve driven past dozens of times without realising it even existed. 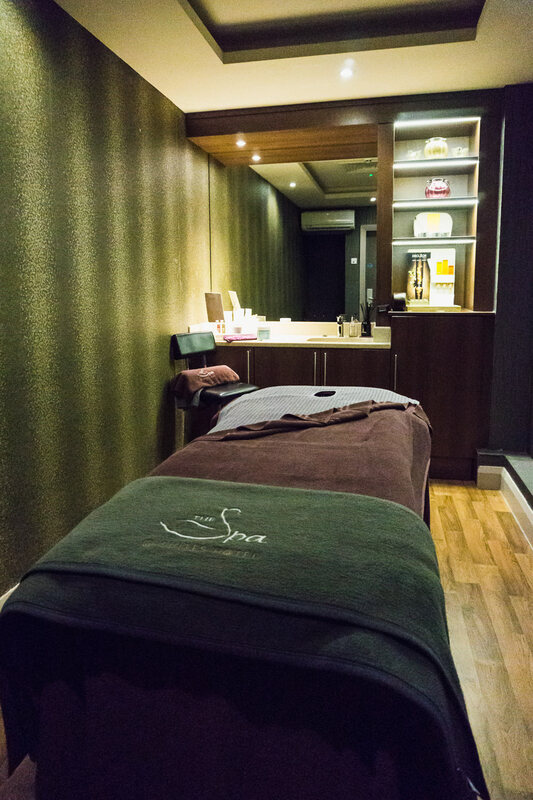 The exterior gives little away about the indulgent spa experience that you can experience inside. Suites is the only 4* hotel in the North West that provides all of its guests with suites. Hence the name! The privately owned hotel opened in September 2014 and The Spa has since become a popular destination for a luxury pamper. Facilities include a Thermal Suite with Double Rasul Chamber, Sinann Foot Spa, Rainforest Showers, Hot Beds, Himalayan Salt Inhalation Steam Room, Sauna and Ice Room offering a range of heat, ice and water treatments. The leisure facilities include an 18 metre swimming pool, two Jacuzzis and a fully equipped gym. Therapists are trained to Decléor and Carita standards, offering over 90 treatments. There’s a choice of manicures, pedicures, massages, facials, wraps, therapies, anti-ageing treatments, treatments for mums-to-be, couples treatments… the list is almost endless. My friend had the Drift Signature Treatment. This began with a skin softening body brush followed by a warm soya bean oil drizzled over the body before a full body massage. Guests are given the rest of the massage candle to take with them to enjoy at home. I had the Twin Souls Treatment, an exfoliation of hands and feet before a deep relaxation massage of both. After our treatments we went to the Thermal Spa for a sauna before retreating to the Relaxation Suite. This little sanctuary allows you to relax and unwind while sipping a cup of tea. Perfect! The venue also offers dining and drinking destinations in the form of Handley’s Brassiere and Bollinger Bar. Those visiting The Spa have exclusive access to the Spa Bistro, which serves up healthy and indulgent light-bites. 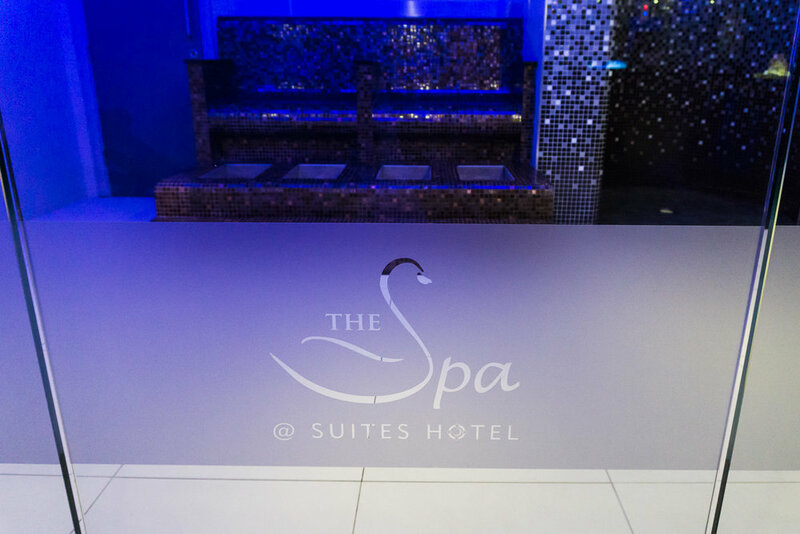 With a range of facilities and treatments on offer, The Spa @ Suites Hotel, truly was a pleasant surprise. It just goes to show that you can find a little bit of luxury in the most unlikely of places.